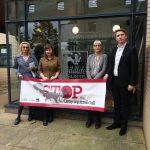 On the 4th of September 2017 a petition was handed to Wildlife Trusts, at their central office in Newark, asking them to stop the culling of grey squirrels. 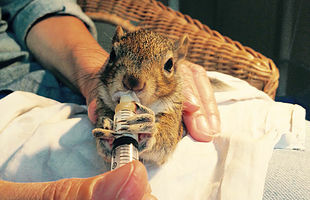 The petition hand-in was followed by a two-hour meeting chaired by the Wildlife Trusts Chief Executive and attended by the petition author Courtney Scattergood, a representative of the petition web-site Care2, Animal Aid and Urban Squirrels. The aim of the meeting was to bring to the attention of Wildlife Trusts the extent of public opposition to their plans to recruit 5000 volunteers to kill grey squirrels. The charity has certainly stumbled outside the boundaries of public morality, and now they know it. Here is a slightly more detailed account of this event.